If you are looking for real estate in Wichita, Bokeh Development has a number of residential real estate and commercial real estate in Wichita, Kansas. Bokeh Development’s commercial and residential buildings are developed to be a unique destination for people in and outside of Wichita. Bokeh Development has available real estate in Wichita, including commercial real estate spaces and residential real estate spaces. If you are looking for an apartment, studio, loft, or commercial workspace, check out The LUX, The Renfro, Zelman Lofts, or COrTen. Finding affordable real estate in Wichita can be difficult, but Bokeh Development offers cheap real estate in downtown Wichita with plenty of great amenities and entertainment options nearby. If you’re interested in restaurants and entertainment just a short walk away, then a Bokeh Development real estate space in Wichita is perfect for you. 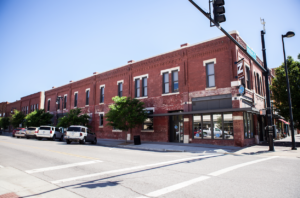 We currently have a number of commercial real estate and residential real estate options in Wichita, so be sure to learn more about our properties and contact us for more information.